This NYS Path Through History Weekend, join Historic Palmyra in celebrating the vast history of Palmyra, NY. 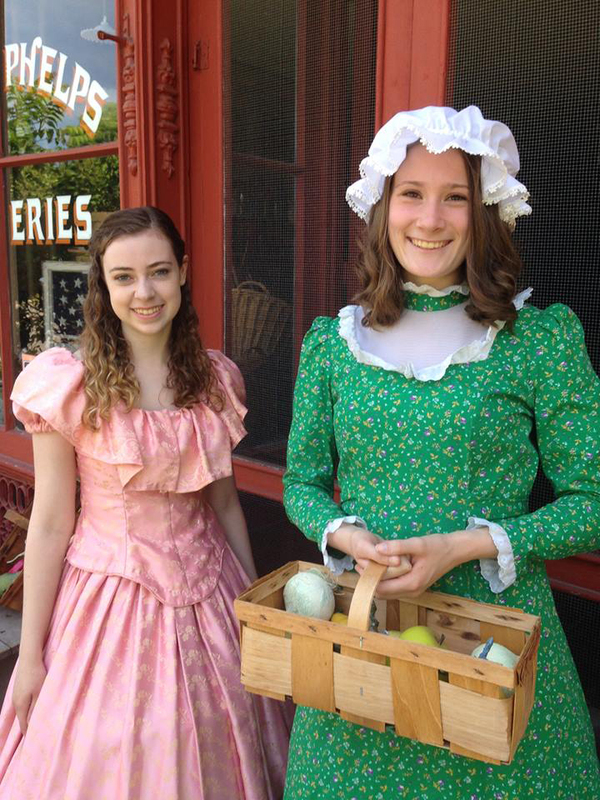 Join costumed docents as you explore the five museums on Historic Palmyra’s Trail Pass, beginning at the Palmyra Historic Museum, 132 Market St., Palmyra. Your tour will take you to the Palmyra Historic Museum, Erie Canal Depot, Palmyra Print Shop, Phelps General Store, and Alling Coverlet Museum. For this special weekend, you may meet the family of Winston Churchill, workers from the building of the canal, E.B. Grandin, or even the Phelps family operating their store! Visitors will also be able to visit the grand opening of several new exhibits: the Gallup Bridge diorama and Erie Canal Boat mural in the Erie Canal Depot and the Griffith Exhibit in the Alling Coverlet Museum. Trail pass prices are $10 for an individual, $7 for seniors (70+) and students, and $20 for a family. Historic Palmyra is a non-profit, 501(c)(3) organization dedicated to preserving the history and architectural heritage of Palmyra, New York. Once known as the “Queen of Erie Canal towns,” Palmyra boasts an astonishing array of architecture, ranging from the early 1800’s to Victorian era grandeur. Historic Palmyra’s mission is to save the history of Palmyra and vicinity through the preservation of architecture, artifacts, and archives. Historic Palmyra teaches and educates through the five museums and their collections, welcoming thousands of visitors each year. The museums can be visited for Trail Pass tours with an associated fee at 132 Market St., Palmyra during their summer hours, Tuesday through Saturday, 10:30AM – 4:30PM. They can be contacted at 315-597-6981 or visited online at historicpalmyrany.com.